Image courtesy of New Design Illustrations/Shutterstock.com. AxFlow Holding AB has bought Brown Brothers/Kelair, a distributor of positive displacement and centrifugal pumps in Australia and New Zealand, from the Mace Group of Companies. Headquartered in Christchurch, New Zealand, Brown Brothers/Kelair sells centrifugal and positive displacement pumps to users and resellers in industrial segments and utility pumps to agriculture and municipalities. The group operates through 15 locations across Australia and New Zealand and has a long relationship with Xylem in centrifugal pumps. 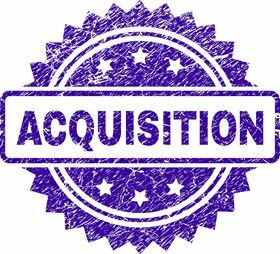 The purchase is the next step in AxFlow’s expansion outside Europe, after the 2016 acquisition of AQS in South Africa. “The acquisition gives AxFlow great opportunities for sales growth in Australia and New Zealand, as well as a strong platform for growth in Oceania,” said AxFlow CEO Ole Weiner. Brown Brothers Engineers was established in 1908 in New Zealand by Alfred and Phillip Brown specializing in electrical engineering. The company diversified into pumps after 1915. In 1980, Brown Brothers joined the Mace Group of Companies. Sydney, Australia-based Kelair was acquired in 2004. John Inkster, CEO of Brown Brothers and Kelair Pumps, will continue to run the company after the acquisition. AxFlow, the Fluid Handling Solutions business group within Axel Johnson International, is active in 29 countries, has approximately 600 employees and an annual turnover of €180 million. AxFlow Italy buys Cinti Srl, a specialist in installation, service and repair of centrifugal pumps. AxFlow Germany is strengthening its service offering with the acquisition of Pumpen Karrer.